The world’s automotive industry originated from Europe, sprouted in the UK with steam engine civilization, born to Germany, “Father of the Car”, grew up in France and Italy and then matured in the USA. Let us feel the unique charm of its rich culture through the small piece of automotive glass. It’s often said “slow down to move faster”. But there is a country for which the innovation seems to be the forerunner, with thoughts preceding actions all the time. It has led the innovation of the world’s industrial development, but the innovation is always permeated with paranoia. It is traditional, persistent, gentlemanly but also extremely unconventional and cocky. Its name is the UK. The automobile history of such a unique country is fated to be a legend. Numerous brilliant auto brands were born in the Britain. Rover, Triumph, Austin, Jensen, Lanchester and Wolsely have disappeared while Bently, Rolls Royce, Jaguar, Land Rover, MINI and MG have been acquired by other brands. "Rolls-Royce is the only sign of the nobleness of the automotive kingdom. No matter how old the style is, how expensive it is, there are still no challengers." As a car brand that has continued for centuries, Rolls-Royce was committed to creating the "best car in the world." since its foundation. "The aristocrats of the car" is not an empty slogan but embodies the generations of Rolls-Royce and people's adherence to the traditional British car-making art and the pursuit of perfection. Incredibly, more than 60% of Rolls-Royce still perform well. In 1903, Frederick Henry Royce, son of a miller, bought his second French Decauville sedan, but the car broke down often which disappointed him. In 1904, he designed and built his first 2-cylinder engine car with the amazing engineering talent and his desire for perfection. Born in a British aristocratic family, Charles Stewart Rolls is well known for his excellent engine repair skills while studying in Cambridge, and was a highly skilled driver. After graduating, he started a car business, and "Rolls" soon became one of the most powerful car dealers in UK. But Rolls always wanted to associate his name with a high-quality car. 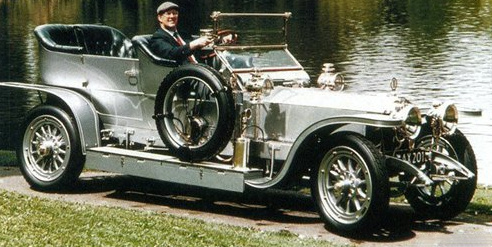 Rolls has always wanted to associate his brand with the high quality cars and he was greatly shocked when he saw the 2-cylinder car made by Royce in 1904. He thought to himself that Royce is the mechanical genius that they found to dominate the world. In December 1904, the first Royce car was exhibited at the Paris show, causing a huge sensation. Subsequently, a historic agreement was signed which entitled "Rolls" the only company to sell Royce Cars in the UK. 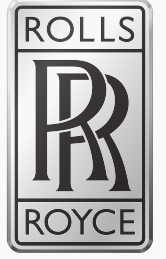 Royce Cars was officially renamed Rolls-Royce. The “RR” logo reflects the harmonious relationship between the co-founders. The most distinctive thing about Rolls-Royce is that it uses a lot of manual labor. In the UK, where labor costs are quite high, this will inevitably lead to high production costs, which is one of the reasons for the amazing price of the Rolls-Royce. 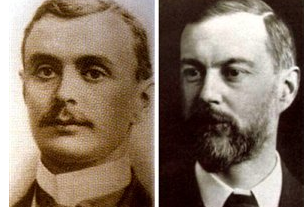 The engine of Rolls-Royce remains hand-made even untill today. What is more surprising is that its grille shape radiator, which resembles the ancient Roman architecture pantheon door, is completely made by the hands and eyes of the skilled craftsmen without any measuring tool. It takes a craftsman a whole day to make a radiator and five more hours for processing and polishing. 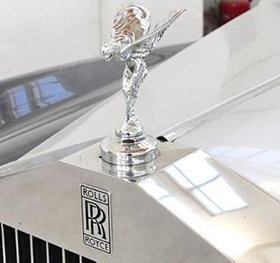 The generation and sculpturing of the Spirit of Ecstasy (also called “Flying lady”) on the bonnet of each Rolls-Royce is another great example of its pursuit of perfection. "A graceful little goddess, the Spirit of Ecstasy, who has selected road travel as her supreme delight... She is expressing her keen enjoyment, with her arms outstretched and her sight fixed upon the distance." The first model named Silver Ghost was launched in 1907, which was the origin of Rolls-Royce's claim of making the "best car in the world" – a phrase coined not by themselves, but by the prestigious publication Autocar that year. Silver Ghost was painted in aluminum paint with silver-plated fittings and was named to emphasize its ghost-like quietness. Its aureate bell - top radiator is very conspicuous and remains as an irreplaceable design element till today. The design concept of Silver Ghost was also very different from other brands at that time. Example: in order to make passengers get off in the most elegant posture, the doors of the car were designed as walk-in carriage style, opening backwards. Currently there is only one Silver Ghost housed in the Rolls-Royce museum. In the beginning of the first two or three decades after the invention of the automobile, the car population is pretty low and so was the driving speed, therefore there as no need for windshields. Drivers and passengers would wear goggles to protect against bad weather, insects and other flying debris. With the increase of car population and the driving speed, it became a growing problem that the wind and flying debris would hit the face of the drivers and passengers. Consequently, the auto makers add a piece of glass in front of the drivers to reduce such dangers. 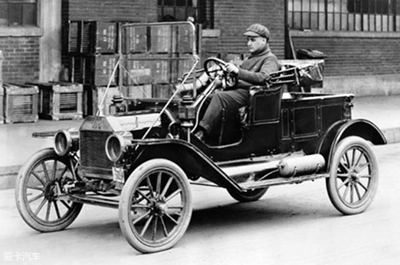 The earliest car produced with a windshield occurred in 1904. At first, most windshields were perpendicular to the ground and supported by metal rods. The windshield of Silver Ghost was one of the early types. During World War I in 1914 shifted Rolls-Royce’s business to aircraft engine manufacturing which become its main business during that time. The period of 1925 to 1935 saw the prosperous days of Rolls-Royce with the launch of famous Phantom series (I/II/III). The Phantom IV, designed on a Silver Ghost chassis with the speed up to 160 km/h, was made for the British Royal Family after World War II. Rolls-Royce became the British Royal car when Queen Elizabeth II was crowned in 1952 and since then has been chased after by members of the British royal family, Heads of State, aristocrats and rich men throughout the world. Rolls-Royce acquired Bentley in 1931 and started the dual-brand strategy. 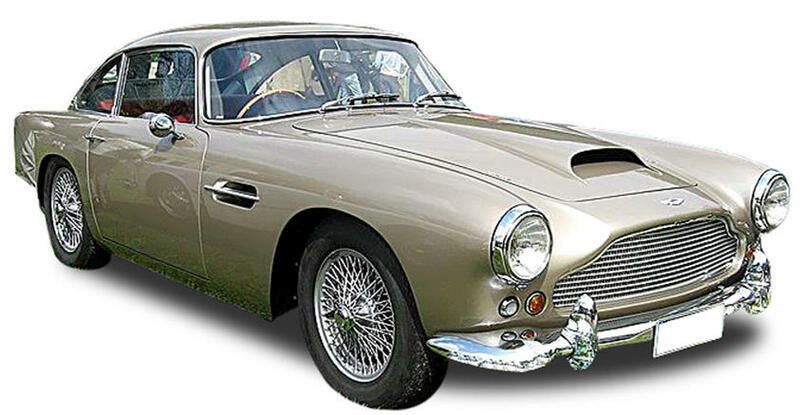 The world automotive industry developed fast during 50s and 60s, which stimulated the British to build more luxury cars. In 1955, Rolls-Royce released the Silver Cloud series and Bentley S, leading a new era. 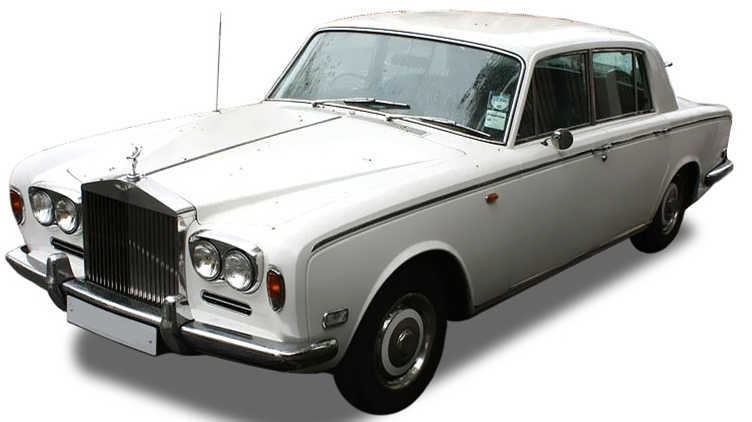 The straight six-cylinder-engine Silver Cloud was the smallest sedan in the Rolls-Royce family whose positioning is similar to Gust at present time. At that time, owning a Silver Cloud was a sign of sprosperity. Its elegant appearance looks absolutely classic even by today’s standards, equipped with the most advanced technology and configuration of cars during the 1950s and 1960s, the exquisite materials and workmanship of the interior conveyed the image of top luxury cars. Now, it is more like a piece of artwork to be treasured and appreciated. 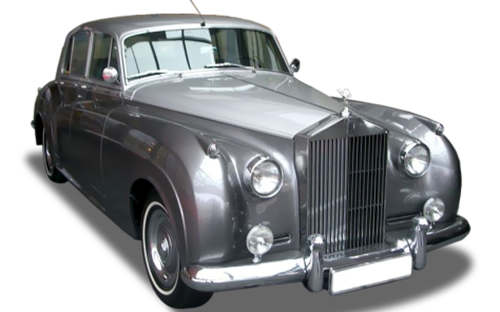 In 1965, the Silver Shadow and Bentley T model were produced as a replacement for the Silver Cloud and Bentley S. Silver Shadow was the best-selling Rolls-Royce as well as the last model to retain some classic features. In the 1970s, when the world was hit by an oil crisis, Silver Cloud managed to keep Rolls-Royce out of the red without bringing in more money for research and development. Thus the subsequent models continued several designs of Silver Cloud which made it one of the most memorable models in its brand history. After its glory days, in the 1970s and 1990s, the company changed owners several times due to improper management. In 1997, Volkswgen AG and BMW entered into an agreement that Bentley was owned by Volkswgen. Rolls-Royce Motor Cars Limited, created as a wholly owned subsidiary of BMW in 1998 after BMW licensed the rights to the Rolls-Royce brand name and trademark logo from Volkswagen AG, and has been manufacturing the Rolls-Royce branded cars since 2003 and allowing Volkswagen to produce Rolls-Royce branded cars prior to 2002. Under the BMW group, Rolls-Royce has taken on a new look, producing two top-of-the-line sedans, the new Phantom and the Gust, and establishing itself as the world's leading car brand. Jaguar is the world’s famous luxury auto brand of Jaguar Land Rover, a British multinational car manufacturer with its headquarters in Whitley, Coventry and England. They were mainly known for producing sports car, racing cars and luxury sedans. Its marque is a leaping “leopard” sculpture, vigorous and brave, a unity of form and spirit with a strong sense of the times and visual impact. It not only represents the name of the company, but also shows the "Grace, Space and Pace", symbolizing that the car is galloping around the world like the jaguar. 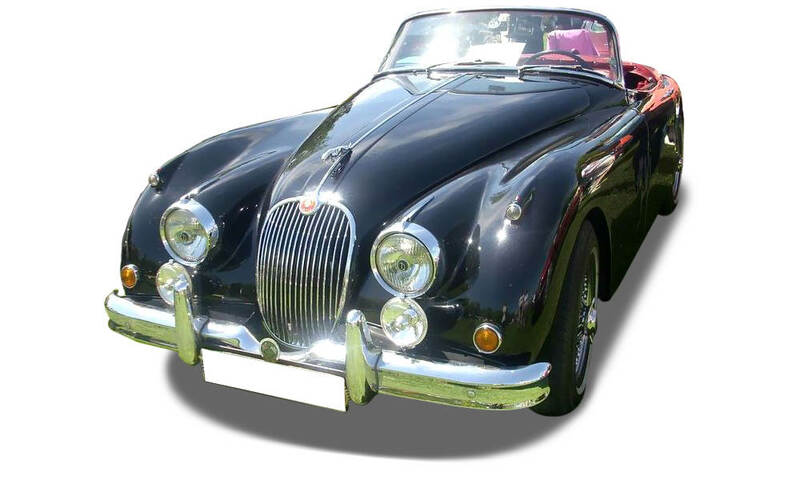 Jaguar launched famous XK series from 1948 which is a byword of “speed and performance”. The first model XK120 is the only model that can be on a par with E-type in the history of Jaguar. It is powered by a 3.4-liter XK inline six-cylinder engine, with maximum power of 162 HP, taking only 10 seconds to accelerate from 0 to 100KM.“120”means that the highest speed can reach 120mph which was praised as the fastest mass-produced car in the world at that time. It’s interesting that it was not until 1953 that Harry Earl, the father of automobile design from the United States, invented the world’s first full curved windshield (panoramic curved front windshield) in place of the previous flat windshield. This design could greatly reduce the blind spot of drivers and improve driving safety and therefore was soon widely adopted by the global automotive industry, representing a style of cars in the 1950s. Up to now, it has been used in almost all the car designs. A series of record-breaking cars (Jaguar C-Type, D-Type and E-Type) has made Jaguar synonymous with British sportscars in the 1950s and 1950s. Looking at the brands in the automotive history that have gone for extreme design aesthetics, Jaguar is absolutely one of them. If you look for the most amazing models in the world among these brands, Jaguar e-type is undoubtedly one of the brightest stars. Many people, including Mr. Enzo Ferrari, the father of car racing and the founder of Ferrari automobile company, even regarded it as the “brightest”. 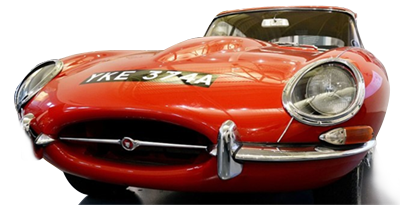 “ The most beautiful car in the world” was firstly unveiled at the Geneva motor show in March 1961, when Jaguar officially released its civilian version of the sportscar, the E-Type, causing the sensation. The E-Type applied a new independent rear suspension that provided stable handling on different roads. It was equipped with the 3.8-liter XK engine which was firstly used in XK150. It has 265 horsepower and a body with smaller air resistance. The top speed is 241 km/h, completing 0 to 100 km/h acceleration within only 6.9 seconds. There were 3 versions including Series 1 (1961-1968)，Series 2 (1968-1971) and Series 3 (1971-1975) and about 72,000 cars were sold during those14 years. In addition to the charm of the car itself, the price was relatively low at £2,097, only 1/3 that of Ferrari 250GT at the time. The incredible long and graceful hood exudes the power and grace of a leopard. All the design elements were a salute to the aircraft. The streamlined head was designed by Malcolm Sayer, the aerodynamic genius , which fully considered the aerodynamic characteristics. E-type looks most classic from the side. The cigar-shaped silhouette fully reflects the British unique elegance. The flowing lines perfectly reaches from the headlight to the back and the fastback design extends from the 50-degree-tilt windshield to the rear of the car, gradually pulling it back together with the extension of the car bottom and forming the wedge-shaped trail. The dense radial hub is also a symbol of the times, which looks fashionable even by today’s standards. The late 1960s, Jaguar had a relatively narrow market segments for sedans, but these models began somewhat outdated. 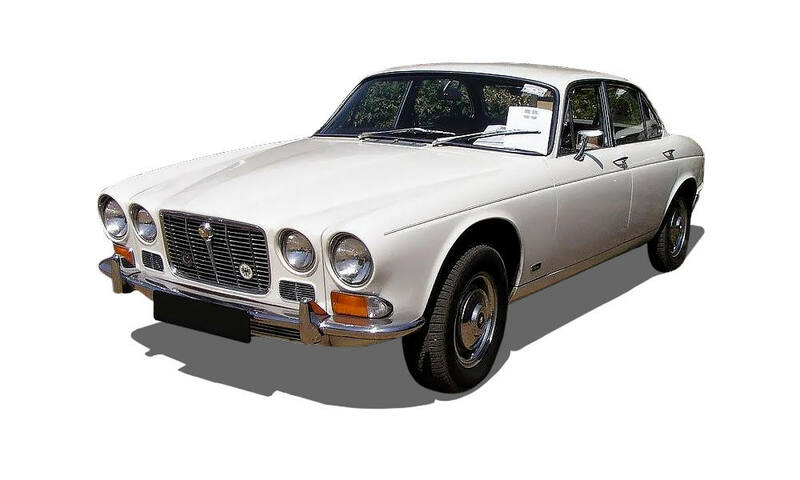 In 1968, the legendary Jaguar XJ6 sedan was born. It is the best car produced by Jaguar so far, receiving rave reviews since its launch. Though it was once a source of British pride and glory, Jaguar has changed owners several times during the economic recession. It was acquired by Ford Motor Company in 1989 and then resold to India Tata Group together with Land Rover due to the global economic crisis. After incorporation into Tata, Jaguar mainly produces XJ, XF and XK series, but has received little sales impact. Established in 1913, Aston Martin is the world’s famous sportscar brand that still belongs to Britain, ranking as one of the world’s TOP 10 luxury cars such as Ferrari, Lamborghini and Bugatti. Elegance and speed are combined perfectly in it, which is especially a good choice for people who love excellent driving experiences, strong power and low-key luxury. 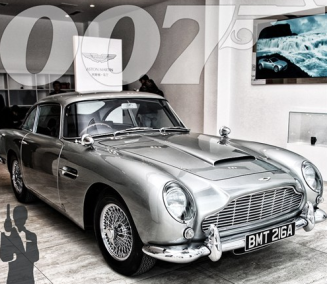 Aston Martin launched many classics and world-famous models throughout its hundreds’ of years in development. The DB series was launched in 1948 to commemorate Sir David Brown, the head of Aston Martin from 1947 to 1972. "DB" is an abbreviation for his name. In 1958, the DB4 was unveiled at the London Motor Show, featuring a 3.7-liter engine designed by Tadek Marek, using a tubular frame structure invented by Italian automotive body design and manufacturing experts. This structure increases the torsional stiffness to a higher level while not adding any extra weight. The majestic history of the automobile is extremly impressive. The classic cars carry not only the automotive design and technology, but also the dreams and feelings of generations, and even the changes of a country. Now these classics have either disappeared, housed at museums, collected by some car enthusiasts, still being used, are refitted, or reproduced in another form... Every single part of those cars is extremely precious and any missing will be regretful. 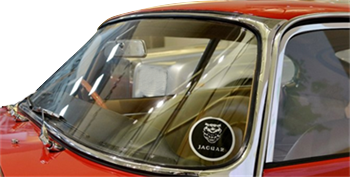 Upholding the spirit of craftsmanship and paying tribute to the classics, Fuyao auto glass has been following the highest industrial standards for every manufacturing process since its establishment 30 years ago. So far it has developed more than 400 glass items for over 200 classic vehicles ranging with model years from 1945 to 1970, and there is also a comprehensive automotive glass catalogue with more than 30,000 different replacement parts for the vehicle models after 1970, covering European, American, Japanese and Korean vehicles for all types of models such as sedans, sportscars, buses/coaches, vans etc. It is our mission and honor to retain the classics, restore the classics, or give the intelligent new functions to the classics through innovation. It is our hope that car enthusiasts will be excited to find the replacement glass for his/her beloved cars. 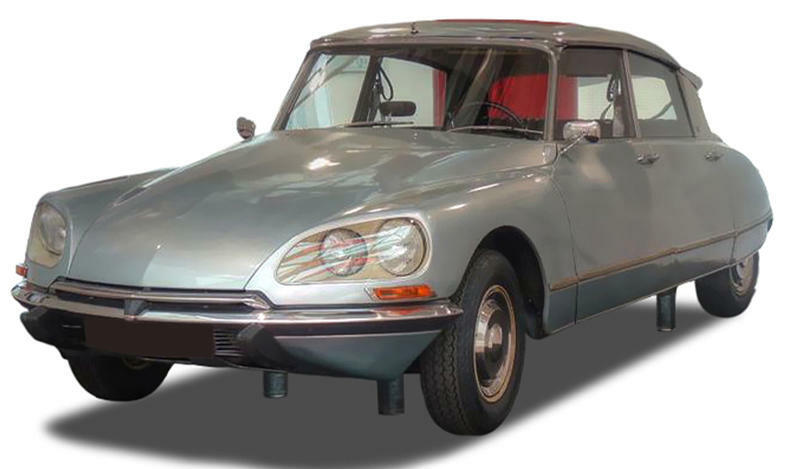 It’s unforgettable that at the Argentina trade show 15 years ago, a Russian customer was ecstatic to find the windshield of 1955 Citron DS in our product catalogue which he has been looking for, for a very long time. We were moved by his strong emotions to be able to find a replacement windshield and also feel proud of the glass that we made. Our customers have gradually become our friends, not only for our professionalism, but also for our common feelings and pursuit of the classics.